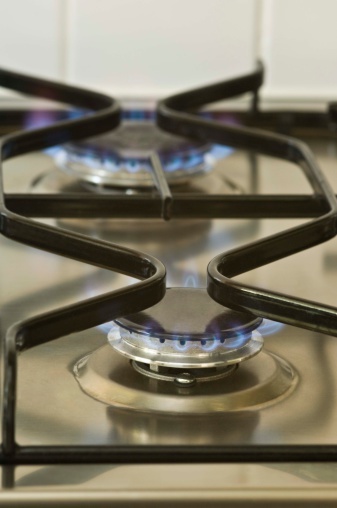 The pressure of natural gas delivered to the home is typically 1/4 lb. per square inch. The natural gas must first be transported at higher pressures through large pipelines that connect the well field to the local supplier. At that point, the gas is processed and the pressures are reduced for safe delivery to residential users. An element burning on a gas oven. Federal law requires every natural gas pipeline operator to certify a Maximum Allowable Operating Pressure (MAOP) for each gas line. The MAOP is defined as the maximum safe operating pressure for the line. Natural gas utilities commonly operate lines at about half this pressure as a further safety precaution. The natural gas pressure of the gas line leading to the home ranges from approximately 1/4 psi to 60 psi, depending on the number of homes or businesses served by the line. This compares to pressures of up to 1,500 psi for large-volume pipelines used to move the gas from the well fields to the local utilities. The regulator and meter at the home reduce the pressure of the gas entering the home to 1/4 psi. This is just enough above normal air pressure to force the gas through openings such as stove or furnace burners. 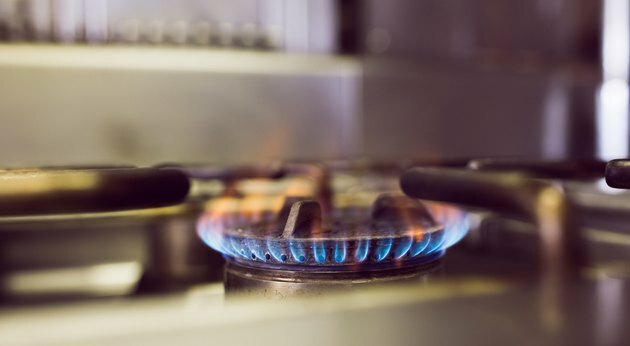 This pressure is adequate for most natural gas appliances, although specifications of specialty items such as natural-gas-powered generators may call for a higher gas flow. A harmless but malodorous chemical called mercaptan is added to natural gas by the utility. This allows detection of leaks even at low levels and pressures. Mercaptan smells like rotten eggs. Leave your home and call the utility company from a safe location if you detect this odor. How Do I Tell if my Dryer Is Gas or Propane?